It took the loss of the opening goal after 20 minutes to kick us into action. Until them neither team had shown any urgency and the crowd was hardly stirred. Such was our dominance of following 25 minutes that some felt the visitors hardly deserved the half-time lead. An early equaliser would surely pave the way for a ‘Well win. Alas, not. Our old Achilles heel saw the opposition launch a fast attack from midway inside their half and with our stretched defence backing up Graham was on hand to grab the winner from 8 yards. The manager looked annoyed when he gave his post-match comments to MFCTV. Inevitably he concentrated on the good parts of the afternoon’s work, Cadden and Kennedy received compliments, but there was disappointment at the goals lost and a belief that we were due at least a point for our efforts. Other results did nothing to unpack the log jam in the bottom half of the table. Hamilton and Kilmarnock are still on our heels but we have a couple of games in hand on both. Our next two fixtures are against the two teams immediately above us. We travel to Dens on Saturday then Firhill three days later. Anything from those games should see us gain ground on the chasing pair who meet each other next. There is barely a week left until the transfer window closes. 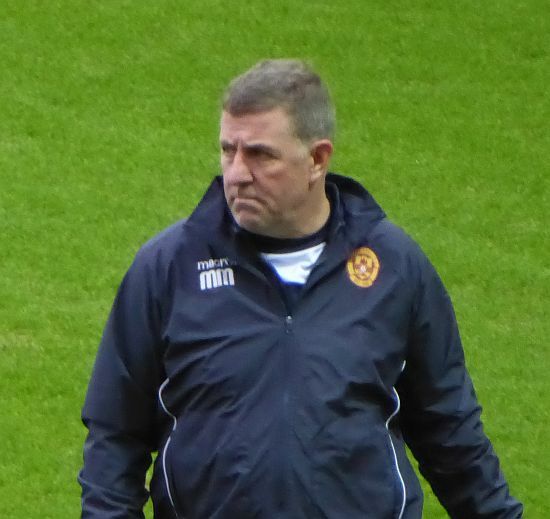 McGhee has made known his intention to fill the gap left by Grimshaw but after Cadden’s showing yesterday we know there is a potential replacement already in the ranks. Nevertheless, an extra option would be welcome.